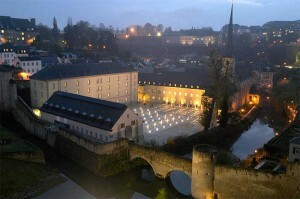 Luxembourg – Dating back to the 17th century and located in the Grund district on a Unesco world heritage site, Neumünster Abbey is one of Luxembourg’s most important historic sites. In May 2004, after ten years of restoration work, it was opened as the Neumünster Abbey Cultural Exchange Centre (CCRN). 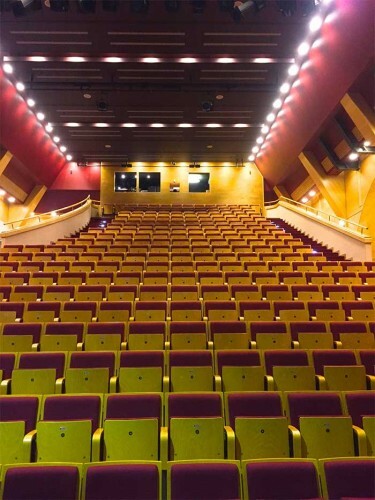 Earlier this year, following a two-year consultation, event and technical design company KTDS Technical Support installed an L-Acoustics Kiva II system into its Robert Krieps Building. Although only parts of its long and turbulent history are documented, it is known that as well as being a Benedictine abbey, Neumünster has also housed a hospital, a prison and gendarmerie barracks and an orphanage. In the mid 1800s, it was also home to a military hospital for the troops of the Germanic Confederation. When the Prussian garrison left in 1867, it once again became a prison, with convicts being put to work in the Tutesall, making paper bags, wicker chairs and binding books. World War II political prisoners were later held here, and in the mid-1980s when it was finally decommissioned as a jail, around 4,000 men and women convicts had passed through its doors. It is fitting then that, having survived four centuries of turbulent history, the group of buildings that makes up the CCRN, part of a network of Cultural Exchange Centres located throughout Europe, is now a public institution dedicated to cultural projects and that the Tutesall is now known as the Robert Krieps Building, so named after former Minister of Justice and Culture, who, as a deportee imprisoned at the age of 17 in the Grund prison, had the idea to transform this former place of detention and sadness into a place of culture and exchange. 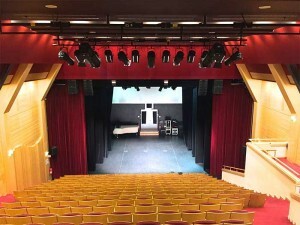 The Robert Krieps Building houses a 283-seat theatre, which hosts concerts, plays, dance, films and conferences. With vast expanses of wood, a high ceiling and windows looking across to the Krudelspuert (the door of the fortress exposed during the construction of the Wenzel circuit, a circular cultural route around the city of Luxembourg), the room now exudes warmth and gentleness. The theatre has an intimate atmosphere, with nothing separating the audience from the actors or speakers, as the first row of seats has been installed on the floor of the large stage, which measures 14 metres in width. 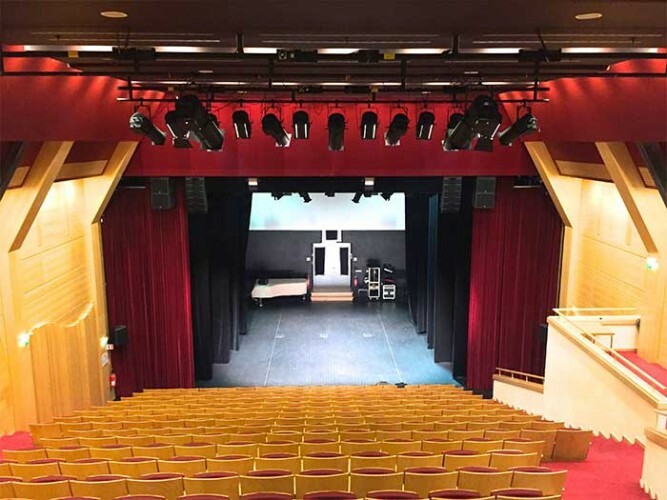 Olivier Deladoeuille, technical director of KDTS designed the system, which was purchased through XLR, L-Acoustics certified distributor for the region, who were also involved with the project from its start. They worked closely to the requirements of the site operator, with the installation also performed by the KDTS team. 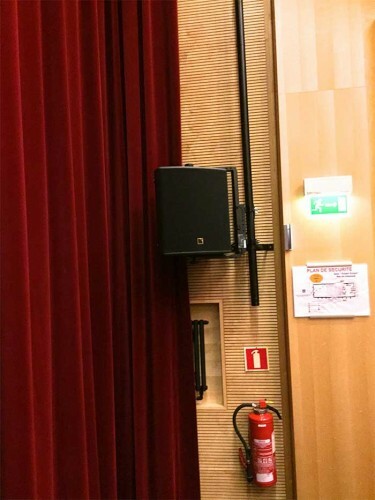 “We chose to use L-Acoustics partly because it was what the customer wanted, but also because of its brand positioning within the Luxembourg market,” he explains. “L-Acoustics has been used on major events and in installations in theatres, clubs, opera houses, convention centres, sports arenas and amusement parks in Luxembourg since the advent of their Wavefront Sculpture Technology in 1992, so it is well-known and accepted. Hangs of six Kiva II are positioned left and right at the front of the stage, with each hang complemented by two SB15M subwoofers. 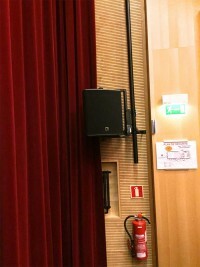 One X12 coaxial enclosure is wall mounted left and right, just in front of the first row of seats, with the flexibility to be positioned between 2m and 4m above ground level, depending on the nature of the event being held, and two SB118 subs are positioned one either side of the rear of the auditorium. Amplification for the entire system is via five LA4X.